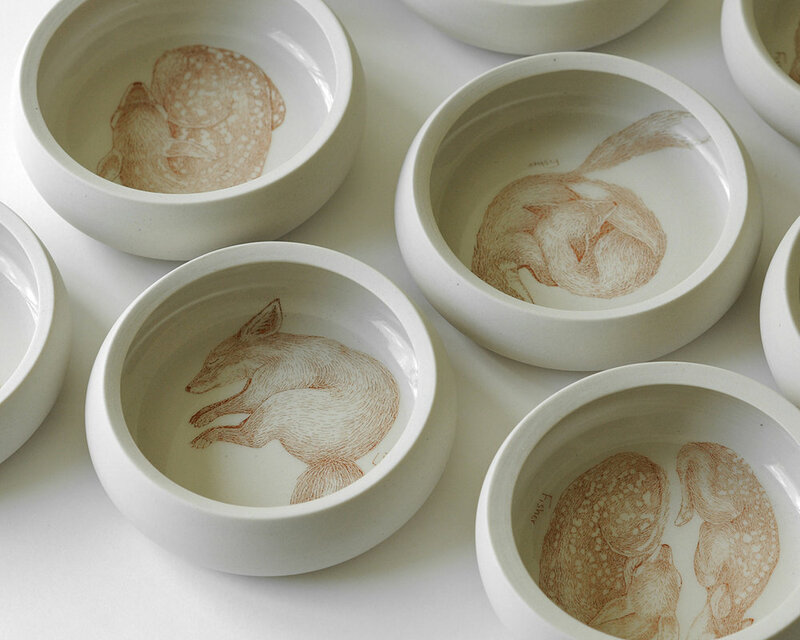 Starting in 2013, Rachel began collaborating with ceramic artist Nancy Froehlich on a line of animal themed bowls and mugs for Land Bird, Nancy's Oregon based ceramics studio. 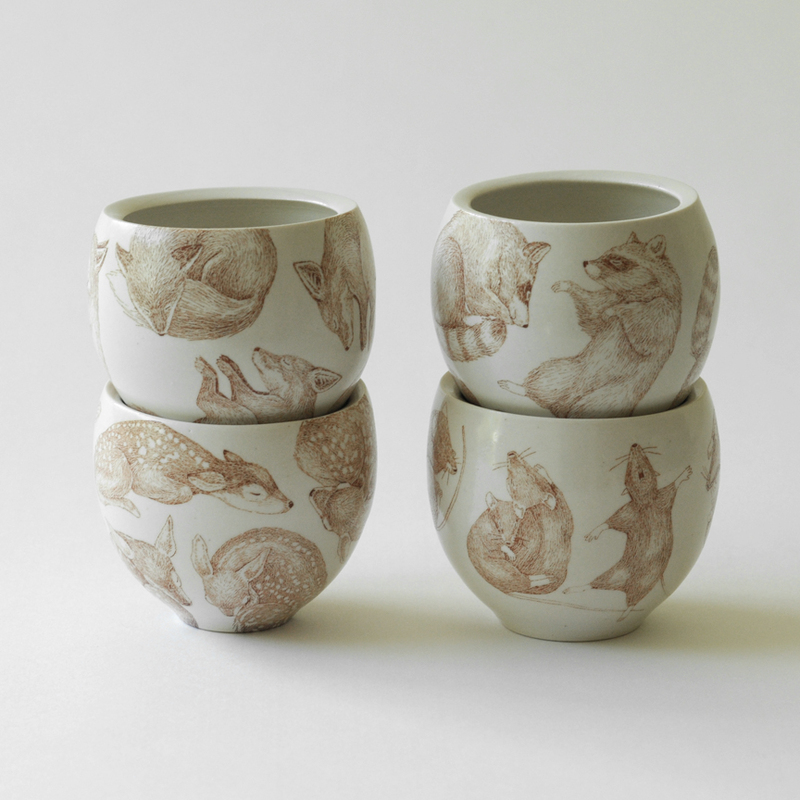 The series of finely drawn woodland creatures includes foxes, deer, birds, and more. The pottery line has been stocked in stores throughout the Pacific Northwest including Made In Oregon, Tacoma Art Museum, and West Elm. To learn more about the collaboration and see where the bowls are currently available visit Landbird.com.